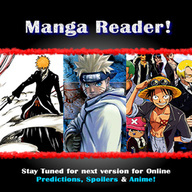 Manga Reader is the only application that is weekly updated and presents Manga (Comics) for the fans of Naruto, One Piece and Bleach! More comics would be added in the later version. Some Widget applications may not work on early device software versions (firmware) on some devices. To ensure this Widget application functions properly, it is recommended that your device is updated with the latest device software by using Nokia Software Updater.